Q: Does a person need a referral to get an appointment with one of the Medicus Eye Doctors? A: No. A referral from another doctor is a common reason for a visit but it is not necessary. You may call directly at (864) 224-6375 and set up an appointment. Q: Will there be a lengthy delay in getting in to see one of the doctors? A: Usually not. 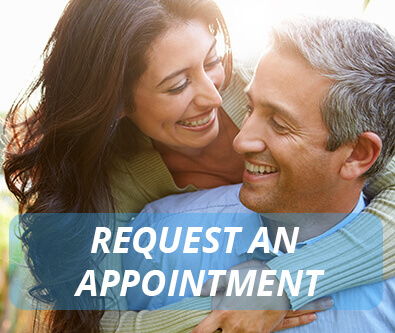 Our schedules have been optimized to allow for appointments within a very short time. True emergencies, of course, will always be seen the same day. Q: I heard that the doctors only do surgery and not regular eye exams and checks for glasses or contact lenses. Is that true? A: All of our doctors do routine eye health examinations including checking for glasses and contact lenses when requested. Q: Do I need to get yearly eye examinations if I have no eye problems or symptoms? A: Not necessarily. Once a baseline examination establishes that you have no active eye problems, then exams every two to three years is usually adequate for people under 50. Over the age of 50, exams may need to be more frequent. Ask your Medicus Eye Doctor for further direction. Q: What conditions might dictate the need for more frequent examinations? A: Diabetics, people with a family history of glaucoma, macular degeneration or other heritable eye diseases, people using certain medications such as Plaquenil (hydroxychloroquine) are a few examples of people who should be checked more often. All diabetics should be checked at least yearly. Q: If I get my glasses prescription from a Medicus Eye Doctor do I have to get them made at Medicus? A: At the conclusion of your visit, you will be given a prescription for glasses (provided you were checked for glasses) and you may get the glasses anywhere that you wish. Our optical dispensary has over 1200 frame styles from budget to high-end and we hope we can serve you here, but you are certainly not obliged to use our dispensary. Q: What exactly is a cataract? Is it a growth across the eye? A: A cataract is simply a clouding of the normally clear lens of the eye. With age, all human lenses get cloudy. Eventually, all of us will get cataracts if we live long enough. Although the lens of the eye gets somewhat larger with age, it is not a growth across the eye. Q: My eyes feel like they have sand or grit in them. They run water and burn especially when I read or use the computer. What can I try for relief? A: It is best to have your eyes looked at to be sure, but it could be that your eyes lack in sufficient lubrication. This is a common problem, especially if you are over the age of 50. Lubricant Eye Drops or Artificial Tears can be obtained at most drug stores and can be used frequently especially when reading or using the computer. If this does not relieve the problem then prescription medication or a minor office procedure may be necessary for a reduction in symptoms. Q: My eyes stay red all the time. The only thing that seems to help is Visine or Murine. I find that I am using them every day just to keep my eyes from being red. Am I harming my eyes? Q: What is a refraction and why doesn’t my insurance pay for it? A: A refraction is the part of an eye examination that involves checking to see if the vision can be improved with glasses. Medicare and most other third party payers consider checking for glasses to be outside of the scope of their coverage and call it a non-covered service. That means that, unfortunately, the patient has to bear the entire cost. Many times your doctor has to do a refraction in order to see how well you can see under the best of circumstances–not just with your present glasses or contacts. If the vision cannot be corrected to near 20/20 with the help of lenses then we can infer that there may be another eye abnormality to blame. A refraction is necessary to accomplish this. And, of course, it is also necessary to do a refraction in order to prescribe new glasses. Usually before cataract surgery is contemplated, the doctor needs to make certain that the visual difficulty a patient is having is actually from the cataract and not simply because the patient needs new glasses. We do not routinely do refractions if a patient’s vision is good either without correction or with their present glasses–in order to avoid the refraction fee. If you wish to get new glasses because you want new frames or lenses then it’s best to let the technician know this up front so a refraction can be done to optimize your new glasses prescription. Q: I have macular degeneration. Is it certain that I will eventually go completely blind? A: No. In fact, although macular degeneration can steal away much of your central vision (good clear reading vision) it never affects the peripheral (side) vision so a person will never go completely blind from macular degeneration. Even at its worst macular degeneration patients are still able to lead independent productive lives in spite of their disability. Q: I’ve heard that there is a new treatment for macular degeneration. Would I benefit? A: There are two types of age related macular degeneration (AMD): wet and dry. There is little that can be done to reverse the adverse effects of the dry type AMD. This unfortunately is the more common type. There is a relatively new treatment for wet type AMD that involves a shot of medication directly into the eye. This medication is exciting because it has the potential to actually reverse some of the changes associated with wet AMD. The shots may have to be administered multiple times to maintain the vision. This is an excellent option for a disease that we previously had little hope of treating successfully. Although there is no treatment that will reverse the damage from dry AMD, we do know that certain antioxidants such as vitamin C, D, beta carotene, zinc, and copper can have a protective effect and all patients with either type of AMD should consider taking a supplement such as Focus Macula Pro, Ocuvite, I-Caps, or Preservision. Of these, Focus Macula Pro is the most economical and can only be obtained through our office. Q: I have glaucoma and my doctor has started me on eye drops. I can’t tell that they are doing me any good and they are expensive. Is it really necessary that I continue them? A: Glaucoma is a silent thief. It steals your vision a little bit at a time so that you are completely unaware that it is missing until it is too late. The treatment for glaucoma is aimed at lowering the eye pressure so that damage will no longer occur. You will not see better and your eyes will not feel better. Yet, the medication is doing its job protecting you from ongoing damage. People who quit their treatment or only use their drops on a hit or miss basis are at great risk for going blind from glaucoma. Once vision has been lost from glaucoma, it is lost forever. There is no bringing it back. So persistence with the treatment is critical to your long term success. Q: My glaucoma has been well controlled on medication. Why do I need to come back for so many follow up appointments? A: As we grow older our eye’s pressure tends to rise. So, while our pressure may be well controlled today, it may not be so well controlled in six months or a year. In addition, our optic nerves may become sensitive to even relatively low levels of pressure as we age. The only way to know for certain that you are remaining stable is to monitor the optic nerves and critically evaluate the side vision for subtle changes. Many people insist that their side vision is “fine” only to find significant defects when carefully mapped out using the visual field machine. The optic nerves can be quantitatively evaluated using a technology called Optical Coherence Tomography or OCT. Evaluation of the OCT on a regular basis permits us to determine with great accuracy whether or not your glaucoma is progressing. Using these two technologies in conjunction with a careful visual analysis of the optic nerves, we can offer a very high likelihood that you will be able to stay safe from the ravages of glaucoma.